10 Cloverfield Lane is an impressively taut thriller that probably would have been better off leaving the Cloverfield connections off. That’s not to say it’s a terrible connection to make, it also hasn’t hurt its box office, but it’s subtle at best and it could prove slightly distracting to some. 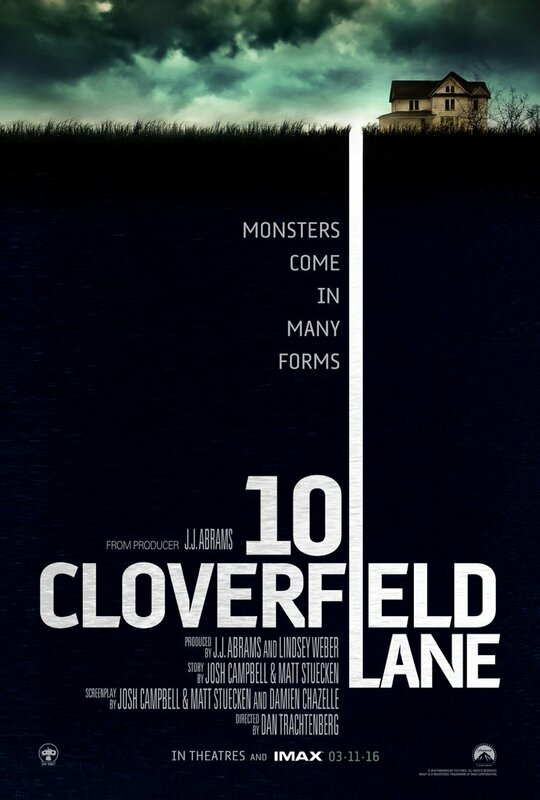 On its own, 10 Cloverfield Lane brings back memories of some of the better Twilight Zone or Outer Limits episodes. The small cast benefits the film since each of them delivers strong performances. Mary Elizabeth Winstead spearheads the film as a combination of Ramona Flowers and Macgyver. Her character is probably one of the most adaptable and resourceful female leads in recent sci-fi history. John Goodman is just as impressive as the is he /isn’t he nutty guy. Goodman has an excellent talent of going from nice guy to nuts in the blink of an eye with little effort. It makes for a wonderfully tense film which builds to a crescendo displaying a talented hand behind the camera. The final act is sure to be divisive since it opens up the claustrophobic atmosphere giving us a totally different feel to the film. Personally, I rather enjoyed it throughout as an effective sci-fi yarn. I thought it was extremely well done. It was, really surprised at how well made it was!